A big hello to all you supporters and friends who read our updates, pray for us regularly, and support us in our ministry here in Romania! We're so grateful for your friendship and your support and today we're sharing our October update with you to let you know what we've been up to so far this fall and to share a little bit of what the upcoming months will look like. We'll also share about some of our upcoming needs and prayer requests. September is typically the beginning of PdF's slower season - there are a some retreats and conferences PdF hosts in the fall but the staff largely enjoys an opportunity to take a bit of a break from the crazy busy summer camps and catch up on office work, take some time out for family, and plan together for the coming ministry year. Jerry spent much of September beginning to plan for the Spring 2018 Bible School. He's been busy booking teachers for next year's bible school and will soon be arranging their travel and schedules. He's already fielding emails and calls from prospective students and he will be meeting with other PdF staff regarding logistics for the bible school (planning for meals, transportation, etc. ), and recruiting some volunteer support staff to serve as RAs (resident assistants who will live with the students and serve as mentors) during the bible school in the spring. He's established another bi-weekly prayer meeting on Wednesday evenings for any PdF staff or volunteers who are interested in joining together to pray for the upcoming Spring 2018 Bible School and the PdF ministries in general. We would invite you to pray along with us on Wednesdays for the Bible School and the ministries at PdF. If you're interested in receiving a list of prayer requests twice a month, please contact Jerry at jerry.baker@pdf.ro. Jerry will also be doing a week of teaching at the Bible School this year, so he will be spending much of his time preparing for this teaching. 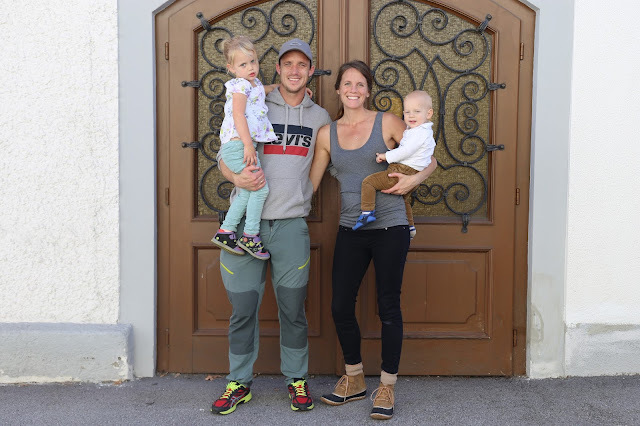 Since our neighbours and fellow PdF staff Stefan and Michi Sailer are in Germany this fall connecting with their supporters and family, Jerry has taken over the leadership of the high ropes course while Stefan is away. Jerry has served as the ropes course manager for the retreats and camps since mid-August, leading groups through the ropes course, doing the safety instruction and leading the debriefs and team building times. Jerry also helped plan and lead a German program for at-risk youth at PdF in September - the youth came from Germany, Romania and Luxembourg with their government support workers to participate in team building activities and wilderness adventure activities led by Jerry and a few of the other German-speaking staff at PdF. Jerry even had an opportunity to share his own story with the youth, which was a highlight of the program. Jerry also serves as the mentor for the male German volunteers who are working at PdF for one year. He has enjoyed getting to know them and spending time with them. At the beginning of October we travelled to Schladming, Austria to visit the Torchbearer's International centre there (Tauernhof) so Jerry could speak to their group of 80 Fall Bible School students on the topic of knowing God's will for your life, and give a presentation about PdF's Spring Bible School in the hopes of recruiting students for PdF and raising awareness about the ministry of PdF. We both attended Tauernhof 15 years ago and we have many close friends and supporters who live in the area, so we were thrilled to make the trip and connect with everyone again. We're also so very thankful to Chrissie's parents for flying us all to Austria for the week. We never could have afforded the trip on our own and we enjoyed sharing a week with them in Austria. Jerry met Tauernhof's Bible School Principal David Hines at the Torchbearer's International Staff Conference in England in June and so we spent some time connecting with David and his wife Deborah and their children while we were in Schladming. Jerry and David's jobs are very similar and since we work in the same organization we have much in common. It was wonderful to share stories and advice with one another and be a support to each other in the struggles of cross cultural ministry and running a Bible School. 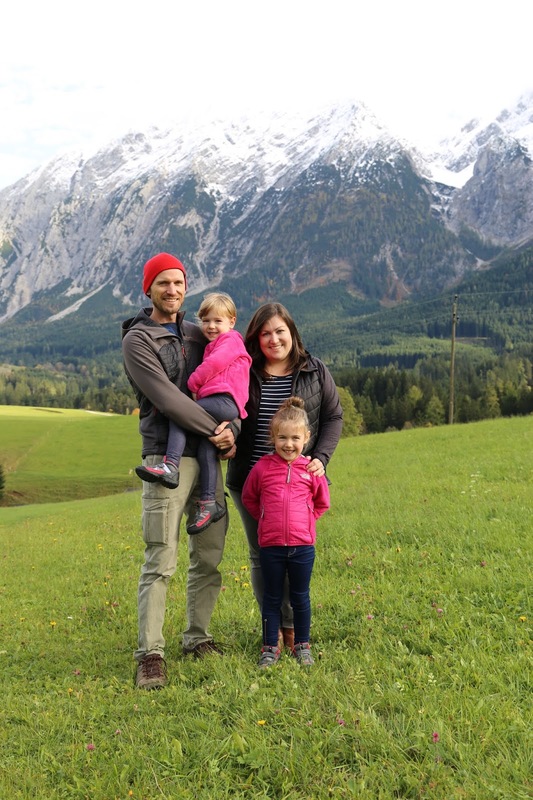 Please pray for the Hines family as they serve God in Austria and work hard to connect with local families and establish their life there. 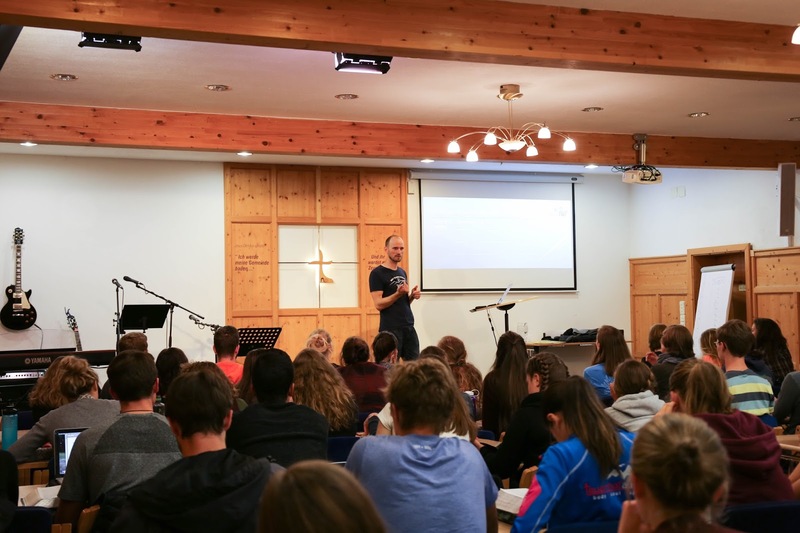 Right after we returned from Austria was the annual CAMP conference at PdF (CAMP stands for Conferența Anualâ de Mulțumire și Planificare, or Annual Conference of Thanksgiving and Planning). This was a very busy weekend for us since Jerry was involved with leading worship in Romanian for the sessions (Chrissie helped with this), giving presentations about the Bible School, attending the PdF Board of Directors meeting, leading a Sunday morning meditation, leading activities, and even helping out in the kitchen!! It was a wonderful time of celebration of what God has done at PdF over the last year and we all enjoyed re-connecting with friends who came for the weekend conference. Jerry has also spent many hours this fall in language study. We've been able to get a decent handle on the basics of the Romanian language which helps us in social situations and when we're grocery shopping, etc. but for Jerry to be effective in his position at Pdf he needs to become fluent in Romanian. It's a constant struggle for him as many staff meetings and Bible studies are all conducted in Romanian and he needs to find a way to understand and keep up. We're preparing for Jerry to take a 2-week language course in Bucharest in November in order to develop his Romanian language skills further. Please pray for his language development and that it would be financially possible for him to take this language course in November. In November Jerry will be working hard to get many of the details for Bible School finalized. The winter is very busy for us with Ski and Snowboard Instructor Training in December (Jerry will be developing and leading the Snowboard Instructor Training program this winter), Christmas retreats at PdF in late-December, and Ski/Snowboard Camps almost every week for the months of January and February, which will keep Jerry very busy!! Please pray for our health (especially for Jerry) so that he is able to instruct at all the camps. 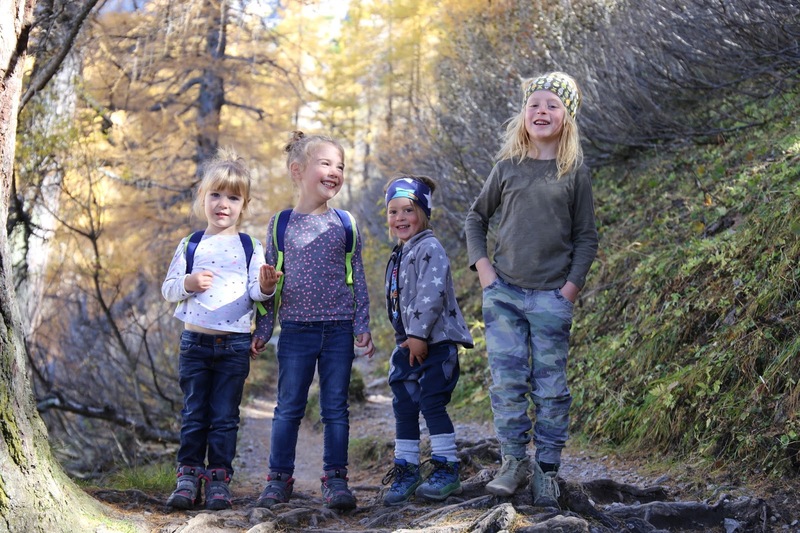 This September for us saw the girls returning to kindergarten in Rasnov (they attend a German kindergarten class 5 mornings per week), which was both challenging for all of us and a welcome return to a routine after the summer. The girls' language skills are improving slowly but steadily and they're both more adventurous with using German and Romanian words at school. Miriam especially is understanding a lot of German, which is exciting. We're praying God will prepare her for her first year of real school here next year in the German education stream, but for this year she'll enjoy one more year in the same German kindergarten class as her sister Eden. The girls regularly have misunderstandings with other children at school and struggle to communicate with their peers. This has been a challenge especially for Eden. Please pray for their language skills to develop quickly this year so they'll be able to make friends and fit in with their peers a little better, handling the challenges of school with grace, understanding, and wisdom beyond their years. Chrissie's parents flew to Romania at the beginning of October for a visit and we have been enjoying our time with them. 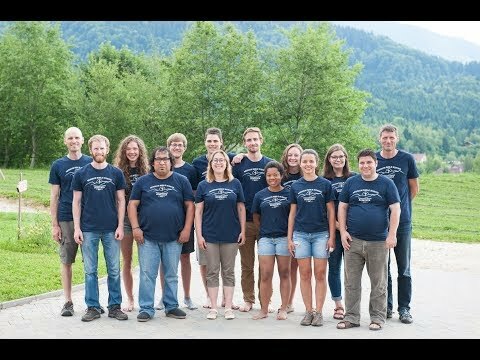 They flew us to Austria with them for a week so Jerry could speak at Tauernhof and so we could visit friends and supporters and spend time together as a family away from PdF. We had a wonderful week of hiking, seeing sights in Vienna and Salzburg, enjoying delicious Austrian food, and visiting dear friends we haven't seen in several years. Our friends Joel and Tanja graciously allowed us all to stay in their guest apartment and we had a great time with them and their boys. 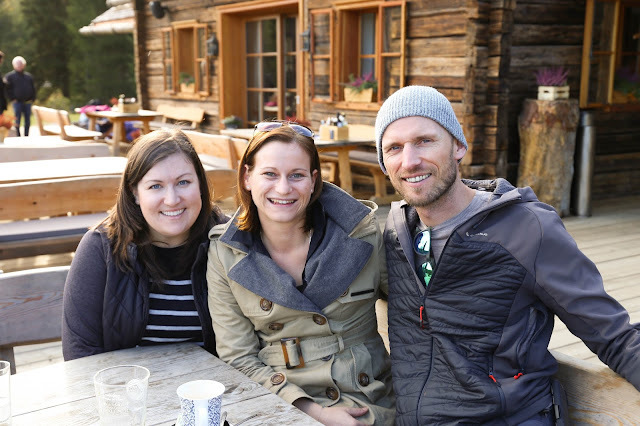 Another highlight of our time in Austria was re-connecting with the family Chrissie worked for as an Au Pair back in 2002-2003. The girls she worked with are all grown up now and it was so nice to see the family again and enjoy a meal together with her Austrian sister, Anja and Anja's mom Traudi. We've also joined a small group at our church, Biserica Harvest Metanoia Brasov, this fall. We have felt the need to become more connected to the local people here, and Harvest Church has been so supportive of us since we started attending a year ago. 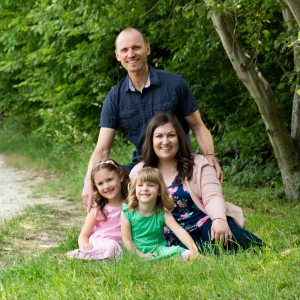 We've enjoyed getting to know the pastor and his wife, Cristi and Simona Cherechean, and they have become our dear friends and have walked with us through some very challenging situations this year, faithfully praying for our family and ministry here at PdF. Our small group meets on Monday evenings and while it is a HUGE challenge for us to even attend with Jerry's crazy ministry schedule, the 45 minute drive to Brasov, the financial hit of paying a babysitter once a week, and on top of all that the language barrier, we have felt SO supported and loved by the people in our small group and already they are becoming our friends. We're so humbled by how earnestly our Romanian friends live out Jesus' call to discipleship and how earnestly they seek to be Jesus to one another in a hurting world. It's truly inspiring and something our hearts have been greatly impacted by. We're receiving more and more opportunities to use our Romanian language skills all the time and so they are growing, albeit slowly. We still feel like beginners, speaking what we affectionately call "Caveman Romanian", but it's nice to be able to communicate basic information and understand what people are saying to us. Chrissie is getting to know a Romanian woman from Rasnov named Dana who has two young children just older than ours. Dana lives a very difficult life and she is a new Christian, and so it has been Chrissie's joy to minister to her and her girls and to work to develop a friendship with her despite the language barrier. Please pray for Dana as she struggles to find work and provide for her daughters. This week marks one year since we moved from Bucharest into our home here at PdF. It's been such a reminder of God's faithfulness to our family. He has provided a wonderful home for us and we are still so thankful each day for our comfortable home and how He knows just what we need even before we ask Him! We are so thankful for each and every one of you who is financially supporting us and our ministry here in Romania. We're also thankful to be able to share with you all that our current financial support is at 85%. Because we're required to pay Canadian taxes and fees to the Great Commission Foundation (our missionary sending organization who processes our donations), purchase expensive health insurance required for our family to live in Romania, pay fees associated with our Visa here in Romania and other foreign country-related costs, our income is still slightly below the amount required for our living expenses. We are praying for an increase in our monthly support and one-time donations to help cover these expenses, but mostly we are just praising God for His faithfulness to us. Thank you from the bottom of our hearts to each of you who sacrifice monthly to help provide for our family's needs. We appreciate each and every one of you so much. Looking down the road at the remainder of 2017 and 2018, we have a few financial needs that are upcoming. First, Jerry needs to be able to take another Romanian language course, which costs about 230 euros ($345 Canadian dollars), plus the cost of transportation, and renting a room in Bucharest for two weeks while he studies. The course takes place in mid-November (one month from now) and as it stands right now we do not have the funds for this. If you feel led by God to support us in this way we would appreciate it so much. Second, it is our plan to return to Winnipeg and the Vancouver area (Jerry's hometown) in the fall of 2018 to re-connect with family, friends and supporters, to speak at churches and to hold a few fundraising events for our ministry here in Romania. As it stands right now, we have no funds with which to buy airline tickets or finance our trip back to Canada, and so we're praying for God to provide for our family in that way. Third, our current Romanian Visas expire in November 2018 and so we will be responsible for renewing them before we return for our visit to Canada. The costs associated with this are between $1000 and $2000 CAD. - and thank God for a wonderful fall season and refreshing time with Chrissie's parents this October. - and thank God for a successful CAMP weekend this month! - For God to raise up some new monthly and one-time supporters for our ministry here in Romania so we're able to cover all our living expenses. - For safety for the upcoming ski camps, both for the staff and instructors and for the participants. - For wisdom and an extra dose of patience for us as we continue to navigate the Romanian culture. - For Bible School students to apply for the Spring Bible School. We are praying for God to bring 20 students this year! - For health for our family during these fall and winter seasons; that we'd avoid ear infections and bronchitis this year, and any other illness that would interfere with ministry. - For our Romanian language skills to develop quickly and that we'd have many opportunities to grow our language skills. - That God would continue to equip our children with all the patience and skills they need to thrive at school; that our children would continue to grow in their faith and love for Jesus.